Taking an opinion from the entire recruiting team about a particular candidate is just a matter of few clicks with Jobsoid. Knowing the view of your teammates regarding a particular candidate can be very well understood through a candidate profile review. The Review feature of Jobsoid has a simple design and rich functionality. 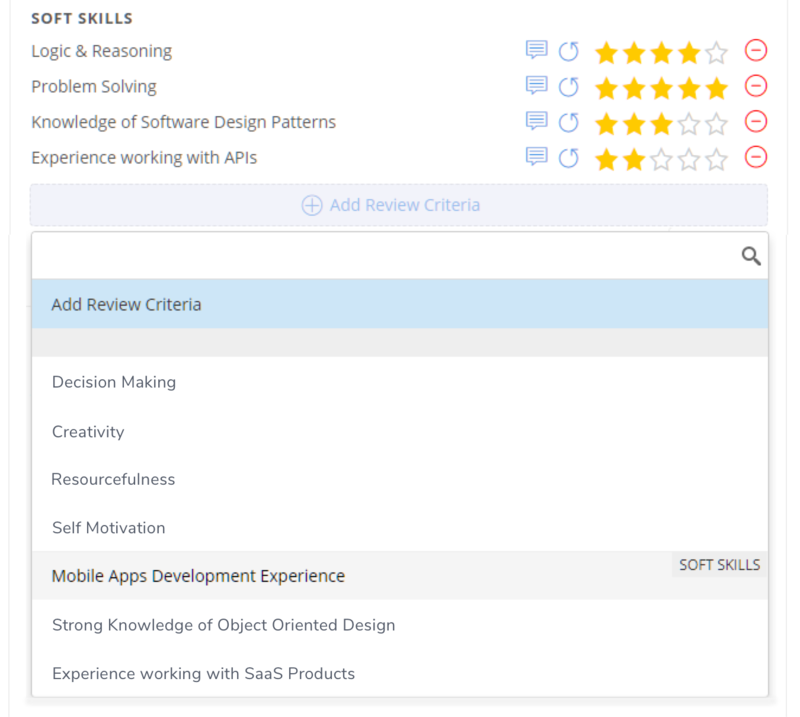 You can set review criteria while creating the job opening. Only those review criteria will be shown to the interviewer for rating candidates. You can also add review criteria on the go. Click on (+) Add Review Criteria and choose the desired criteria from the ones suggested in the drop-down. 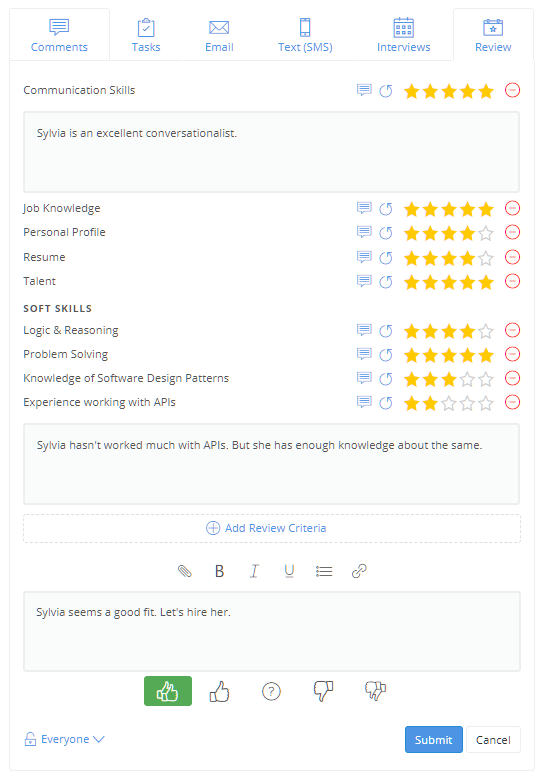 Your review will be shown to you as an activity on the candidate profile. It will also be shown on the scorecard. The scorecard gives you an overview of the ratings the candidates have received. It gives you the average rating for each review criteria and the overall average rating. You can view the ratings of your team members as well.